The holidays are here, and we know many of our patients are hunkering down for some well-deserved time off to reconnect with family and friends – and, of course, to enjoy some delicious holiday treats! But while the foods we love to indulge in over the holidays are delightful to the taste buds, they can be downright dangerous for braces. For this blog, we’ll highlight some of our favorite holiday recipes that will leave both your taste buds and your braces happy! First, preheat your oven to 325º F and line some baking sheets with parchment paper. Combine the butter and brown sugar in a bowl and mix it until fluffy, then add in an additional 3 1/2 cups of your flour and mix until well combined. On a cutting board, sprinkle 1/2 cup flour and transfer your dough to the board, kneading it for about 5 minutes or until its about the same consistency as play-dough. Form the dough into a ball, wrap it in plastic wrap, and chill it for about 30 minutes, then spread it out to 1/2 inch thickness and cut our shapes for your cookies. Arrange your cookies 2 inches apart on your baking sheet, bake for 15-20 minutes, let cool, and viola – an addictive treat that won’t hurt your braces! Making it couldn’t be easier – just combine the bananas, almond milk, vanilla pumpkin spice and pumpkin puree into a blender or food processor and mix until creamy and smooth. 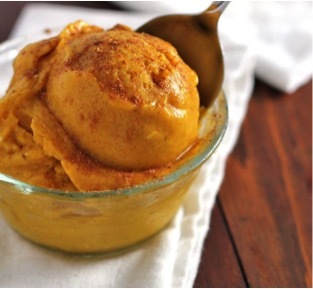 Scoop it into bowls, sprinkle on a bit of cinnamon, and serve with cookies for the perfect after-dinner treat! Feel free to freeze the mixture and scoop it later as well if you’re not ready to eat it right away! Have more questions about navigating the holidays with braces or want to come in and see us? We’re here to help! Feel free to call us at (416) 222-3223 or reach out to us at our contact page with any questions or to schedule an appointment at our Toronto, ON office. We can’t wait to hear from you, and we hope to see you back at this blog for more info and office updates! Spring is here and it is time to get creative with the foods you love. Everyone at City Orthodontics loves springtime. Vibrant colors, fresh fruits, veggies, and refreshing drinks are our favorite reasons for what makes spring awesome. To celebrate the beginning of the sunny season we have provided you some braces and Invisalign friendly, healthy, yummy and oh so fun springtime recipes the entire family will enjoy. 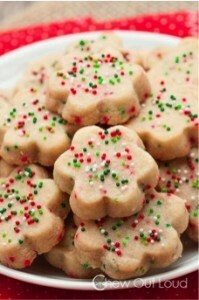 Christmas Treats that Won’t Hurt Your Teeth!